Bill Henson is the maker of modern myth cast in available light. The distinctive Australian artist has a long history of creating dramatic images in the twilight, images that, although serious, are never harsh, but instead are always beautifully, if not glossily presented. A collection of Henson’s photographs ‘1985’ has recently been released by Stanley/Barker, a fledgling independent publishing company based in London. 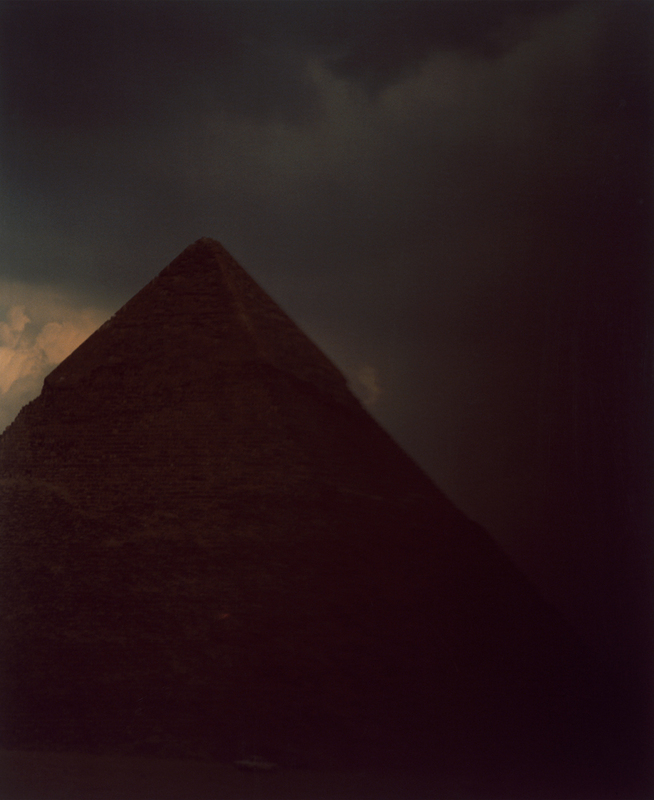 Taken when the photographer was 33, the pictures present alternative images of human civilisation, shot at dusk in the suburbs of Melbourne and in the deserts of Egypt. 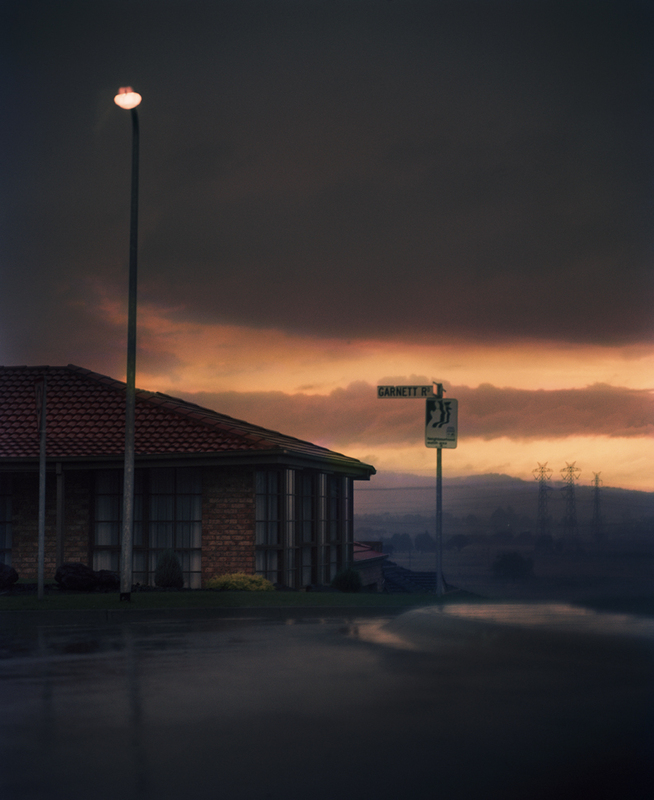 The jump between images of modern day suburban Australia and ruins from antiquity may sound jarring, but like remembrances from a vivid dream, they fall together on the page to create a fluid landscape of changing epochs. The images were taken in the seconds before the light disappears, a time of day that can appear, to the more poetic observer, as particularly otherworldly, a time when sleeping senses are reawakened, reintroducing, Henson says, the disconnected with the “deep mystery of the world”. While social commentary is purposely avoided, the photographs instead offer a glimpse into an imaginary past. Henson grew up in the suburbs and he can trace his earliest memories to the innocuous streets of Greater Melbourne. The images that we remember from our infancy are images that continue to influence our dreams for the rest of our lives and it is these dreams, the dreams of our earliest days and the imaginary landscape they unfold in, which Henson tries to recreate in this collection. Our early interests also continue to influence both our real life and our dreamscapes as we age. Ancient Egypt, the Pyramids, the Sphinx and the golden masks and ancient trinkets discovered by Howard Carter, were all things that formed part of Henson’s imaginary world as he grew up. 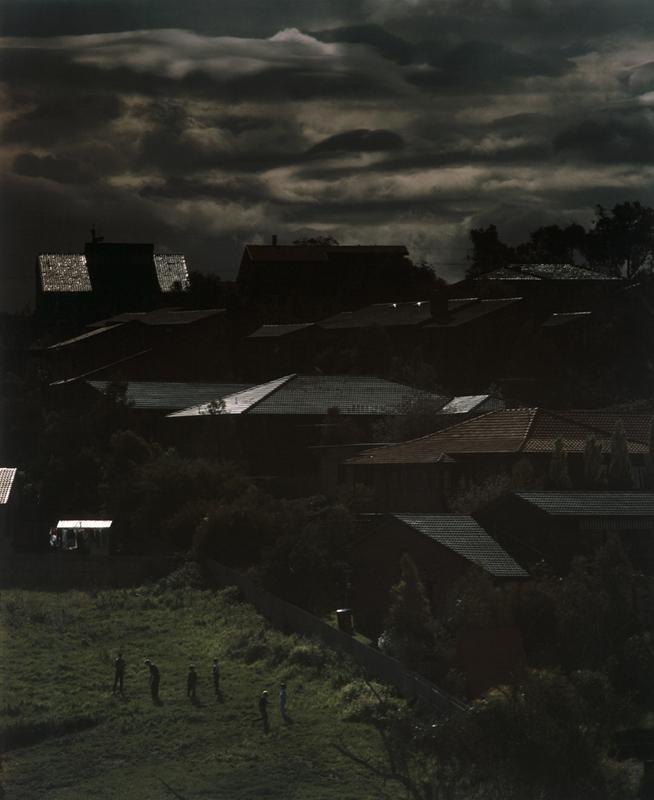 His ‘1985’ photographs combine the two, his imaginary world with the physical world he grew up in. Like dreams, these pictures are only partial. Sometimes a great deal of their detail is engulfed in shadow and it is up to the viewer to use imagination to complete the picture. Dreams rarely follow a narrative pattern, rather they are tapestries containing some images that inter link and inspire the next, while others are unusual, sometimes unsettling images from deep within the subconscious, images that appear to jar the pictorial pattern and push it in another direction. When one considers the photographs separately from the personal stories that inspired them, it is possible to picture the brevity of human civilization in the grand sweep of time. It has been noted in the past that Henson’s work is somewhat inspired by the Romantic school of art and, in particular, the writings of the nineteenth century and their examination of the sense of awe, terror and melancholy that is prompted by the power of nature. The Melbourne suburbs will, perhaps, a very long time from now, be the new Pyramids of another age. Civilisations come and go, not even the Earth herself is eternal. Another Romantic writer Henson has sometimes quoted is Georg Philipp Friedrich Freiherr von Hardenberg the German mystic and poet who also went by the name Novalis. When just 27 he wrote ‘Hymns to the Night’, a book of poems and verse created in response to the death of his fiancee Sophie von Kühn. The book is a celebration of night as the entry point into a higher life. “Aside I turn to the holy, unspeakable, mysterious Night,” he writes in the opening stanzas. “The distances of memory, the wishes of youth, the dreams of childhood, the brief joys and vain hopes of a whole long life, arise in gray garments, like an evening vapor after the sunset.” Night is not the time to answer questions. It is the time to ask more.